It was recently announced by Nielsen Books & Consumer that both hardcovers and paperbacks outsold ebooks in the first half of 2014. According to Nielsen’s survey, ebooks made up only 23 percent of sales, while hardcovers made up 25 percent and paperbacks 42 percent. In other words, hardcovers and paperbacks individually outsold ebooks. Yeah! I may be among the meager few, but I do not own any kind of e-reader. I will never own any kind of e-reader. It’s not that I don’t like technology, I just love books printed on paper. I love how they feel – even how they smell! There’s something about holding a book in your hand and physically turning the page that’s more appealing than looking at pixels on a screen. I love the convenience of them. Just the other day, I was in a doctor’s waiting room and a woman was reading from an ereader. When she was called in, she struggled to mark her place, then turn the device off, flip the cover on, then dropping it on the floor before being able to put it in her purse. I, on the other hand, was reading a paperback. When my name was called, I put in my cute little bookmark and that was that! Another great thing about printed books is not having to worry about battery life, finding your power cord, or losing your electricity before you can power up your reader. I especially like that I don’t have to spend money to buy a device to read a book or dropping and breaking an expensive electronic device. When you get your books from the library, it doesn’t cost a cent to read them! Apparently, I’m not alone in preferring print books. 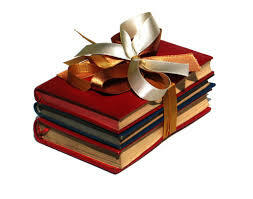 In a recent survey, 65% of those polled reported they like the feel of a real book, 61% say physical books help them learn better (can use post-its, highlighters), 58% like to be able to lend and borrow books, 53% said they like the visual aspect of printed books (covers, pictures, maps), 45% reported they like to be able to resell their books, 44% like to collect and display their books (they are a great decorating tool), 44% enjoying giving books as gifts, 42% prefer browsing bookstores and 9% like to show off what they are reading. Oh, I know there are some benefits to ereaders. 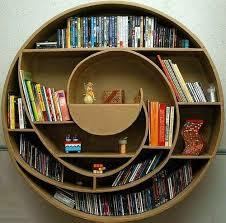 Like you can load multiple books on them. But, how many books can you read at one time? Some people like to save books so they can read them over again. But once I know how the story ends, it kind of takes the fun out of reading it again. We can debate the pros and cons between printed and ebooks, but the important thing to remember is that reading is a great activity and it’s wonderful that we have a variety of formats to choose from. Whichever format you prefer, printed book, audiobook or ebook, the Cheshire Public Library has the best selection to choose from! Let me begin and end by saying print books are great and I love them. But you seem to be indulging in nostalgia, self-rationalization and wrong facts without actually trying and getting used to an ereader. 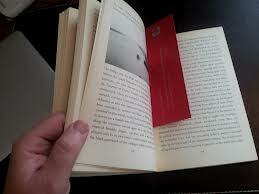 Print books are not convenient. They are heavy, dusty, and take up a lot of space. You don’t have to mark your place with an ereader. You just close the cover. Not only does it keep my place, but I can read my book from three different devices. Whichever I pick up, my place was held across the devices and ready, no matter whether I read on my phone, my tablet, or my ereader. No problem. Battery life is not an issue in a day and age when we routinely charge our phones and tablets every night. 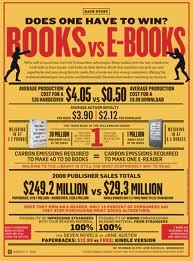 Ebooks are much cheaper than print books (almost all classics are free). Ereaders are inexpensive, not easily broken, and cheaply and quickly replaced without any loss of books (or even your place in the books.) When you buy/borrow an ebook you don’t have to waste time and gas to go to a bookstore. The purchase is instantly delivered. An ereader is a transbook holding thoursands of books for any mood. 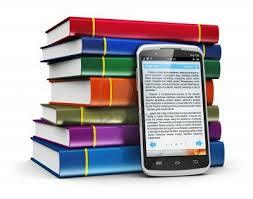 You don’t have to pack several books for a vacation, just the reader for your every mood, and with internet access. What could be easier? Your statistics on reading choices seem to be mixing textbooks (a very different animal) with books read for pleasure. (And you can highlight ebooks). Ebooks also have adjustable fonts for poor eyesight, and sound. Many ereaders now have finer and more detailed pictures than books. You can make a better and easier argument against audiobooks not being “real” books than you can against digital books. The smell of print is fine, but book odor does not improve over time. All that being said, content is king. It doesn’t matter to me if the book is print or digital. It only matters that I can easily get hold of it and seamlessly read it. Are print books classier? Dunno. But reading is a great activity, no argument. I love to read however I do it. Thanks for your comment! You bring up some very good points. My post was based on my experiences, preferences, and what I have observed. I am among those who cannot easily afford the purchase of an ereader – and, to me, it doesn’t make sense to buy one since I get all my reading material free from my local library. Glad we both agree on the most important thing – reading is a great activity!